Getting organised is what it's all about, making sure that you are not making unwanted costly trips back and to from the job, suppliers etc. 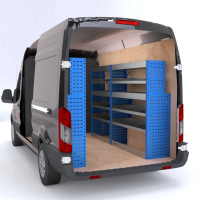 What is needed is a van racking or shelving solution that fits YOU perfectly. 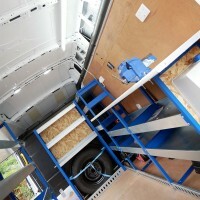 No matter what your industry we can offer many differing van storage possibilities to suit your needs. 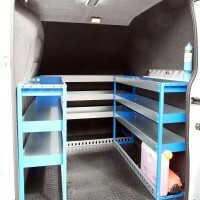 Please find here our van racking projects we have undertaken to see how things work. 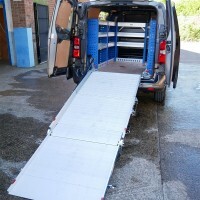 We racked out this van for a pressure washer service company so that they can go out on site and service pressure washers as well as a one man operation ramp for easy to load and unload large peices of machinery.